The built-in Time Base Corrector and video stabilizer correct jitter and "purify" the playback image! Wonderful for transferring tapes to digital! 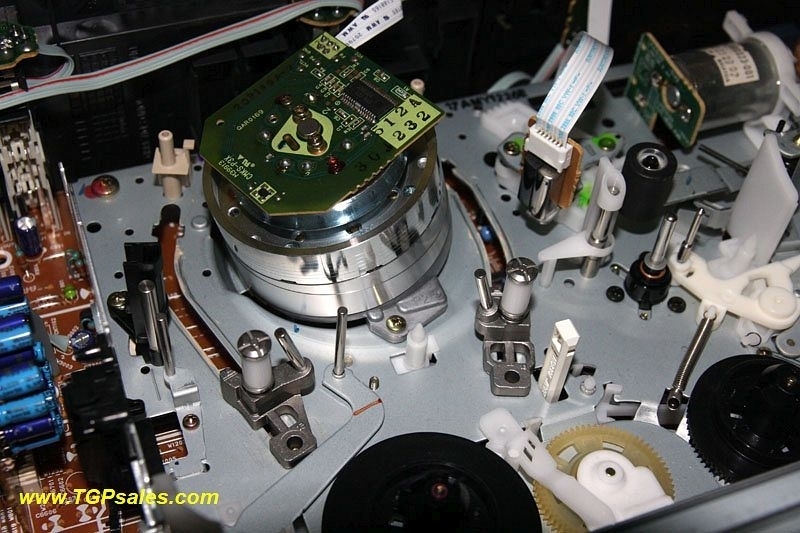 see an example of how well time base correctors can help your tapes! 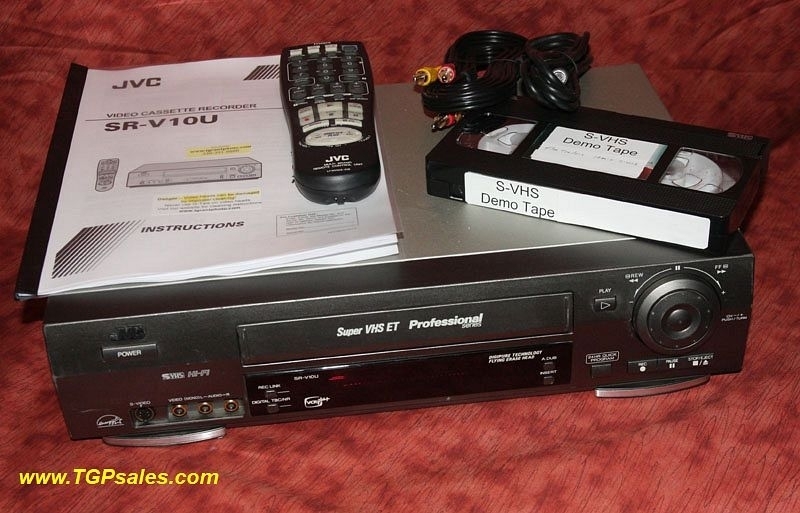 This VCR features auto-video calibrations along with picture control that allows you to sharpen the VHS tape. 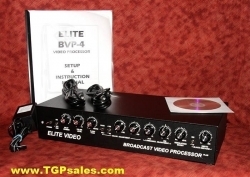 The video stabilizer and time base corrector help to enhance tapes that jitter vertically. 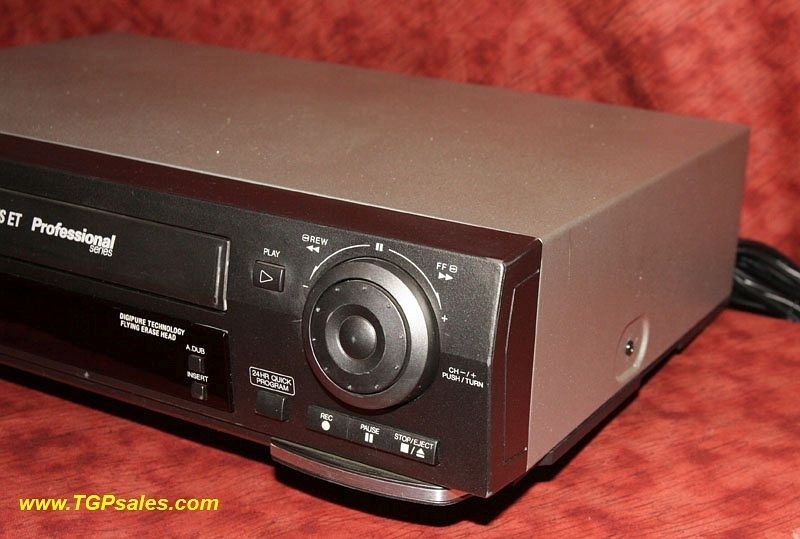 Includes JVC remote control. 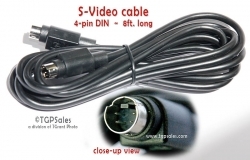 Also includes S-VHS cable with attached dual RCA type audio cable. 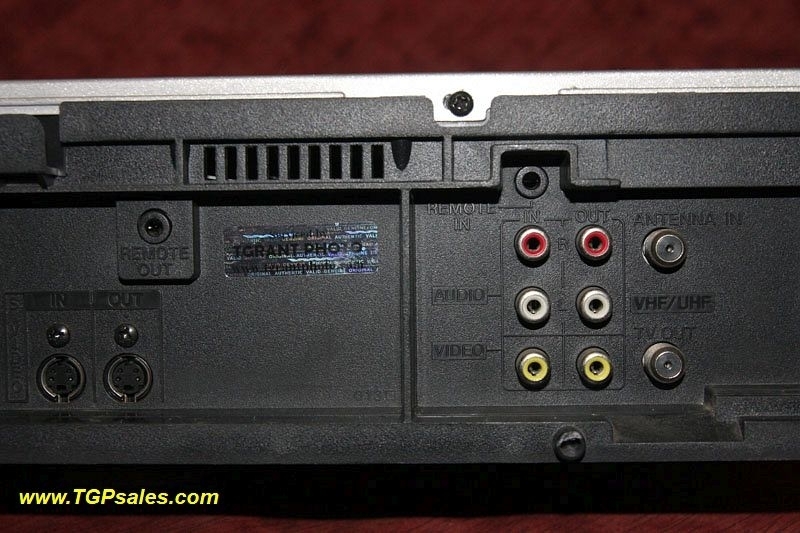 VCR has been cleaned and tested by our technician and is ready to use! 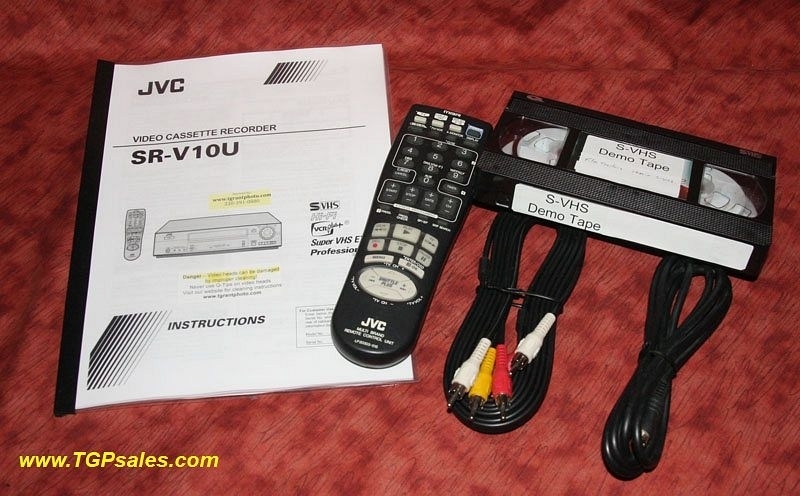 Includes: original JVC remote control, s-video cable, RCA cable (for audio), plus instruction manual reprint and a short S-VHS demonstration tape. 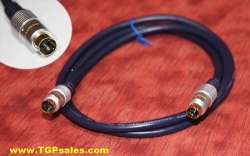 Note: The above sales description is copyright TGPSales & TGrant Photo. Copying or use on another website is prohibited. These are TGrantPhoto.com’s ("TGrantPhoto”, “we” or “our”) Standard Return Policies applicable only to products purchased by you directly from the TGrantPhoto.com & TGPSales.com website. Any return for a refund may be subject to a 15% restocking fee. Customer pays return shipping charges. Any product without a valid, readable serial number, including but not limited to products with missing, damaged, altered, or otherwise unreadable serial number. Any product that is returned without all original packaging and accessories, including the manuals, cables, and all other items originally included with the product. Any product that exhibits physical damage. Any product with a damaged or torn warranty seal. Any product which has been opened, used, or tampered with in any way which jeopardized TGrantPhoto's ability to remarket or resell the product. TGrantPhoto maintains full discretion in decisions regarding a products fitness for return. This is our Standard 10-Day Return Policy. All electronic equipment sold on TGrantPhoto are covered by this policy (unless stated otherwise) and must be returned to TGrantPhoto within 10 days of the invoice date for this policy to apply. “Return” constitutes receipt of the product by TGrantPhoto, and not the mere issuance of an RMA. TGrantPhoto will be not be responsible for the cost of return shipping; please contact TGrantPhoto's customer service department to obtain an RMA number and instructions regarding how to ship the product back to TGrantPhoto . 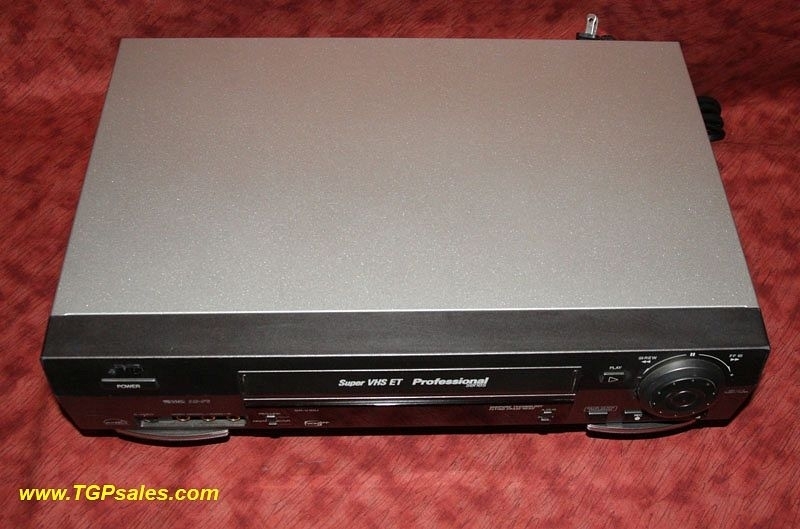 This policy includes (but is not limited to); DVD players, VCRs, LaserDisc Players, video processors. NOTE: For all electronic equipment over $250, An adult (age 18 or older) is required to sign the shipping courier's release form to complete delivery. It is highly recommended that you inspect the product upon delivery for visible damage. Large item shipments require that shipping damage is reported within 48 HOURS of the product’s delivery. Any damage reported more than 48 HOURS after the product delivery will not be accepted by TGrantPhoto . After delivery, please read all included documentation regarding installation and proper use of the equipment. If you need to return a product that was shipped via Large Item Delivery, please contact TGrantPhoto's customer service department to obtain instructions on how to return the product. 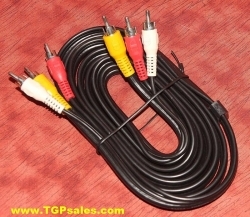 IMPORTANT: All our VCRs and Video Processors are designed and tested for correct playback on TVs with video inputs. 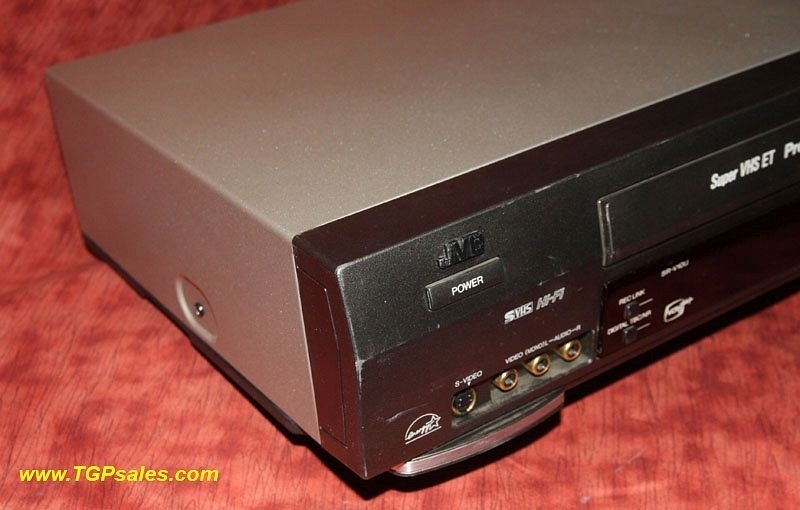 We do not guarantee that VCRs or Video Processors will work with computer capture cards. VHS tapes that have copyguard protection may not play back properly on some VCRs. Any electronic equipment that is returned under this policy must be in the condition as described in the original TGrantPhoto sales description, in its original packaging with all original accessories and manuals. If the electronic equipment is missing the serial number or UPC bar code, the return will NOT be accepted by TGrant Photo. Any electronic equipment returned under this policy that is found to be damaged due to the customer’s neglect, abuse or misuse will NOT be accepted. Items shipped to another address after original delivery do not qualify for return or refund. An item that has been re-shipped voids any and all warranties. By checking "I agree" you agree to and accept the terms of this return policy. Sale Price: $549.95 / ea You Save: $25.00 (4.35%)!